"A 1940s Radio Christmas Carol" is remarkably different from Broadway Rose's usual Yuletide fare. On the one hand, there is more story, which I've often wished for in previous years, and there is a comedic section featuring a parody of Private Eye radio dramas, which I appreciated very much as a fan of the genre. On the other hand, there is very little singing, and most of it seems incidental to the plot. As much as my own Inner-Scrooge hates to admit it, the bulk of the show-with its wartime themes registers quite often as a bit of a downer. I must also admit that I would be far more willing to tolerate this change of tone from a company other than Broadway Rose. Their unashamedly festive revues are often a welcome counterbalance to the other offerings around town which aim for a more melancholy, or even negative tone. Last year's Broadway Rose holiday production finally struck just the right balance between book and score, and so I hope that next year's "It Happened One Christmas" is a triumphant return to form. 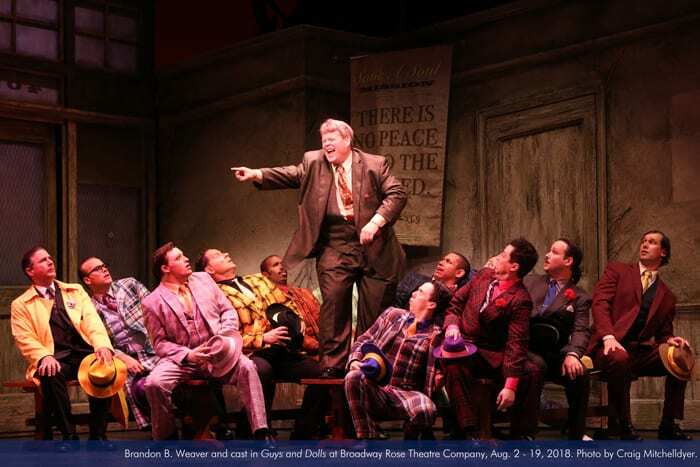 I've wanted to see "Inherit the Wind" performed live since Sophomore Year in high school, where we read it in Language Arts, taught by David Sikking, who happens to play the Rev. Jeremiah Brown in this production, which was a pleasant surprise. "Inherit the Wind" is one of the two productions I have been looking most forward to this Season, both of which are at Lakewood, the other being "Dial M for Murder," directed by Mr. Sikking. Lakewood's "Inherit the Wind" was worth the nearly twenty wait. It was particularly nice to see Allen Nause come out of retirement to play Henry Drummond, and be paired with fellow Artists Rep alum Todd Van Voris as Matthew Harrison Brady. I believe "Inherit the Wind" is the best production currently running in the metro-area. There are words that I save for occasions that truly warrant their use, "transcendent' is one of them. I only use it when a certain kind of euphoria envelops me when watching a show. "The Color Purple" had several of those moments. It is the best, most ambitious musical PCS has mounted in years. I opened the playbill after the show and counted the musicians. (You know the show is epic when eight seems a low number.) "Breathtaking" is also among the words to use conservatively, but when one feels short of breath at the end of a number, out of a strange sort of empathy with a performer who appears to have exhausted herself, what other word is there? What an Opener to PCS's Season. There are sequences of movement in "Skeleton Crew" that are used as scene-breaks that are so synchronized, I suspected they were projections, until the dancers took their bows at the curtain-call. It was at this moment I realized that the synchronicity displayed in those scene-breaks was a sort of microcosm of what I enjoyed most about the play. Not to mention that synchronicity itself is a theme of the play. This is of course intentional, at least insofar as the scene-breaks illustrate the precision workers on an assembly-line must possess, and the play is in large part about how little respect such work receives, and even the dialogue has moments of natural-poetry that takes some rhythmic skill to deliver effectively. (A feat accomplished especially well by actress Shelley B. Shelley, as Faye.) Yet, as apt as the "synchronized" description is, it should not conjure the connotation of being as generic as the products of an assembly-line. Indeed, the greatest asset of "Skeleton Crew" is its ability to draw truly human characters. It is a timely, perhaps even vital play, and a truly impressive beginning to Artists Rep's new Season. I must confess that I did not expect to love "Mama Mia." I was born well past ABBA's heyday, and know virtually none of their songs, with the exception of "Dancing Queen." No one was more surprised than me when I quickly found myself enjoying it immensely. There are a few reasons for this: One is that it just seems to fit the mood of a musical running in the summer, a show that matched the bright Sunday I attended. Another is the once again surprising "scope" achieved by Broadway Rose. I mean, they list "pit singers" in the playbill, this suggests a larger size than we can even see. I seem to say a version of this in virtually every review of a Broadway Rose show, but hats-off to Broadway Rose for "going-big." That said, my favorite moment was the solo "Winner Takes it All" which deserved a mid-show ovation for the sheer power required. I believe this press-photo is from that song, and that is the moment I wish to spotlight, because it might be overlooked in all the fun of the rest of the show, and that would be a shame. Deidrie Henry is truly mesmerizing in "Lady Day at Emerson's Bar and Grill" She somehow manages to embody Billie Holliday with out falling into imitation. She masters the conversational cadence of the show, which feels like it would be exceptionally difficult, and yet she makes it look effortless . The band is also exceptional. Even the placement of the stage is cool. It really feels like a club setting, as if we were indeed in the presence of a legend. I enjoyed every minute of its all-to-brief running time. "Tourette's Hero: Stand-up, Sit Down, Roll-over" is a bizarre show. I don't think Tourette's Hero would object to such a description. Especially because a lot of it is MEANT to be bizarre. (Audience members are encouraged to come up and read corny cat-jokes at random intervals, for instance. ) And stand-up has been a place for bizarre things--Andy Kaufmann comes to mind. But, the word that best describes "Tourette's Hero" is not "bizarre," but rather "embrace." The entire evening is about embracing everything, and accommodating the unusual. This is the reason it is not merely "interesting" or "off-beat," but at times revolutionary, both in terms of the typical boundaries forced upon performance, (and oftentimes, by extension, who gets to enjoy them,) as well as revolutionary in terms of the discussions sparked. It has been a long while since I stayed for a "talkback," but "Tourette's Hero's" examination of Disability Rights in different countries is a must-hear. It is also interesting to hear from the ASL interpreters about how they take on such an unpredictable task. Sometimes I found myself watching them in awe. If you've ever longed for a one-of a-kind show, this is it. Sometimes it is unavoidable that the viewer puts his own feelings into a work of art. There are moments in "Major Barbara" which, to me, suggest clear satire of unfettered capitalism. Chief among them is the final scene, in which arms-dealer Andrew Undershaft mounts a rousing defense of his business, and capitalism itself, all the way down to caring not at all about which side he is arming in a given conflict. Previous mottoes of the munitions-factory are projected on a screen throughout the show, culminating in the least nuanced of all, simply "unashamed," which I took as Shaw's backhanded assertion that we should indeed be ashamed. This interpretation was bolstered by overhearing someone in my row hiss "Satan!" at the end of Undershaft's speech. But, spurred-on by actor Brian Weaver's interpretation that the play is a "shameless defense of capitalism" I unearthed that Shaw had written a preface to the published edition in which he comes out against the idea of rejecting money for a good cause due to the morally impure source of that money. This surprised me, due to other scenes in the show that suggest Shaw believed the opposite. Barbara's about-face on many issues also seems rather abrupt, if they are not meant to show the seduction of a pure-heart by temptations of wealth, and questionable pragmatism. Departing director Chris Coleman notes that Shaw was a leading Progressive of his time, which undercuts the idea of trumpeting the virtues of capitalism. On the whole, the play is a debate, and all good debates must be fair to all sides. "Major Barbara" is fair above all else, this makes for a good show. Let's get right to the point: "Luna Gale" is the most compelling play currently running on a Portland stage. I should stop there, and urge you to use the saved time to go buy a ticket to its all-too-brief run. 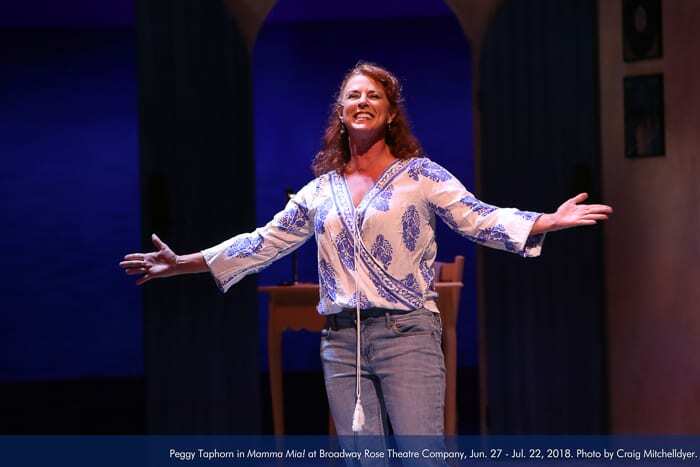 But I feel the need to add that I have yet to see an imperfect play by Rebecca Gilman, and I'm quite sure that is at least partially due to the fact that all three I have seen have been so meticulously staged at CoHo. All I feel comfortable divulging of the plot is that it concerns a custody battle for an infant. Instead I shall use the reminder of this space to full-throatedly gush. It is the kind of play that is presented with such impressive precision that you notice the little things and how well they mesh with the larger things, like the incidental music. The best endorsement I can give it is that the play has stayed in my brain from lights-down, and seems to have no plans of leaving any time soon. I will close with an impassioned plea that CoHo stage "The Glory of Living" and continue their Gilman streak. Now, go buy a ticket! "The Thanksgiving Play" is a brisk, hilarious 90 minutes. But, its briskness and humor does not mean it's light. The humor is disarming, because the themes at the center are quite heavy. I was particularly impressed by the way the script handled the "moral," which I will not spoil here. Suffice it to say that in lesser hands would feel rather hollow. This is a show for everyone, but I think that Portland audiences will be especially receptive to its skewering of New Aginess, because we are sort of a mecca for such things. That its targets are varied is yet another plus, from Hollywood, to Revisionist History, to the theatre itself. It's ease of flow and general balance are remarkable. I truly enjoyed myself, and you will too. Delanna Studi's "And So We Walked" is probably the first One-Woman show where the word "epic" can be properly applied. Yet, despite its breadth, I enjoyed its small moments most. Moments like when Studi was a grade schooler, and Native Americans were called "extinct" by a virtue on a rule in the curriculum, which Studo's father- a towering presence in the show- managed to get overturned. Or moments where little traditions are revealed, like defacing $20s because of the presence of Andrew "Indian Killer" Jackson. These brief stories truly inform the whole, and give the Big Event at the play's center huge personal meaning. The recurring motif of dreams is also effective, but to uninitiated eyes, the lines between them can occasionally be blurred. I wonder if the bookending with Artist's Rep's "The Thanksgiving Play" was intentional, because they complement each other tremendously, because "And So We Walked" is a show in which a Native Woman tells her story, and "The Thanksgiving Play" is about what happens when others try to tell stories for others. The contrast is remarkable, even beyond the humor. I feel privileged to have watched these shows by voices so neglected, that in all my years of theatre going, I believe that they are the only two I've seen from a Native perspective. "Between Riverside and Crazy" @ Artists Rep. The excitement of anticipation is always fun, but it's even more fun, (and rare) when the object lives-up to the hype you have created in your head, when it's everything you'd hoped it would be. Such is the case with "Between Riverside and Crazy." This is the show I've been rubbing my hands together for since the Season Announcement. Stephen Adly Guirgis is, in my view, the New David Mamet, because The Old David Mamet went senile. That line will get a giggle out of the Theatre Geeks, but here's what I want the Non-Geek Readers to hear: If you've ever wondered why I go to the theatre, it is because I hope to see a show exactly like this. It is surprising to me that "The Magic Play" is my favorite show so far in PCS's Season. We all have things we look for in pieces of art, our favorite themes or "ingredients." I am keenly aware of my own "checklist" at the moment, because Artists Rep's "Between Riverside and Crazy" ticks all of my boxes. "The Magic Play" shares nearly nothing with my wishlist, (I'm not particularly fond of relationship dramas, for instance.) But, I was enthralled with "The Magic Play" from curtain-up. The magic and the drama are 8n perfect balance, it could easily have been a situation where the magic overshadowed the traditional play-elements, or the drama could've been so "heavy" as to make the magic seem out-of-place, or gimmicky. If there's one thing I can say about "The Magic Play" it's that you'll be surprised, surprised by the tricks, surprised by how well all the elements work together, and perhaps even surprised that you liked it as much as you did. Broadway Rose knows its way around a murder-farce. In fact, those are my favorite kind of shows to see there. It is high-time they did another, the last one being "Whodunit" which feels like ages ago. The "two" in "Murder for Two" refers to the two actors, one of whom, David Saffert plays an astonishing number of characters. Other reviews have compared "Murder for Two" to "The Mystery of Irma Veo", but I'd say it's closer to "The 39 Steps", which I saw at PCS before this website began in earnest. Saffert's performance is every bit as skilled as one would expect to be able to take on such a daunting task, but there are times when I wished he was given more to work with than a single prop to signify each. By far the best moment in the show is "Steppin' Out of the Shadows." I wish they had sent a Press Photo from that number. It is hilarious and worth the price of admission all by itself.